After each police raid, Josef Schwarz’s phone would eventually start ringing. On the other end would be an RCMP officer. And the conversation would go something like this: We attended your property. Your tenant has been arrested. You should consider evicting her. According to B.C. Supreme Court documents, Schwarz, a Coquitlam lawyer, was this year contacted by Mounties three times in three months about the nuisance tenant living in his Maple Ridge rental property and the alleged drug activity, involving crack and marijuana, that was going on there. Beginning in January, the property was raided three times. Each time, the tenant was arrested and charged with possession for the purposes of trafficking. And each time, Schwarz was strongly encouraged to pay closer attention to person to whom he was renting the space. “The RCMP suggested to the Defendant Schwarz that he attend to evicting the female from the residence due to the type of activity taking place there and the fact that the residence was located in a residential neighbourhood and adjacent to a park,” read the documents. Seven months on, and one raid later, and that’s exactly what has happened. 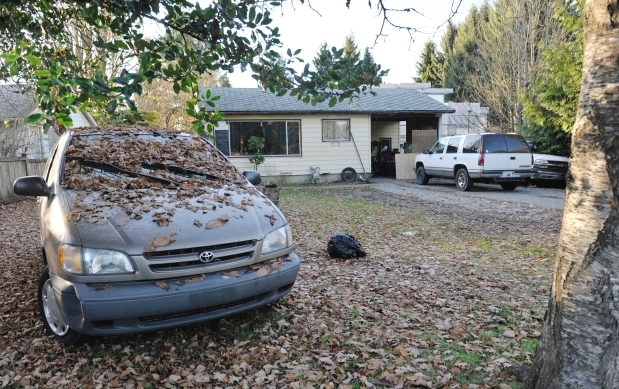 According to documents filed last month in a Chilliwack court, the property, located in the 12000-block 228 Street, now is the focus of an action by B.C.’s Director of Civil Forfeiture on grounds the house was used as an instrument of unlawful activity. The documents claim, among other things, that the defendant “did know or have reason to know of the Unlawful Acts of trafficking in and/or possession of controlled substances” and directly benefited from the income derived from the rental property. Critics of civil forfeiture, however, argue that the case is another example of some of the major flaws of the legislation — off-loading police duties on to citizens, punishing citizens not directly involved in crime and privileging the state over the individual. Among the drugs and drug paraphernalia seized during the third raid, in April, was “ a paper document addressed to the female (the renter) by Defendant Schwarz, on top of the dresser.” The contents of the document were not disclosed. According to the documents, the property was purchased in May 2012. Named as defendants in the action are Schwarz and his wife Linda Schwarz. A statement of defence had not been filed as of Thursday, and Schwarz could not be reached for comment. Police had first become interested in the house in June 2012 following a series of complaints about prostitution and drugs, according to the documents. The charges against the tenant remain before the courts. Since 2006, B.C.’s Civil Forfeiture Office has taken in approximately $41 million. The proceeds have been used to compensate victims of crime and fund crime prevention strategies.